Motivated sellers are pricing their home well below the appraised (Dec 22,2018) value, and are ready to go! Bring all reasonable offers! The lovely home is located in Bluff Point, one of the premier communities of Severna Park, MD, and is central to the Baltimore Washington corridor. Arriving home through the picturesque community is very relaxing, taking the traveler down a beautiful tree lined lane, across a peaceful causeway, and into the gated portion of Bluff Point, home to, among others, the communities seven waterfront homes. Some of Marylands finest public and private school systems are within minutes of the home. Major transportation routes are nearby. Baltimore Washington International Airport, and Amtrac, are both a short drive from Bluff Point, making access to local and international travel a breeze. Washington, Baltimore, and Annapolis are easy commutes from Bluff Point. New York is mere several hours away. 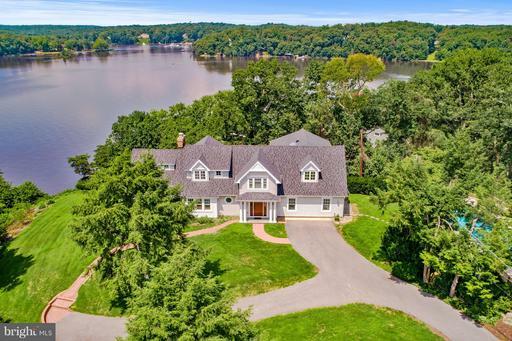 Built to the highest standards, of the finest materials, and with no monetary restrictions, this majestic Federal style home rivals the nicest historic homes of Annapolis, Washington, and Baltimore. 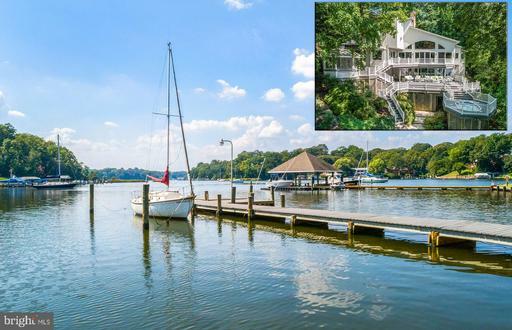 This home has a host of items the colonial homes would love to have, one of the main being a deep water pier, capable of accommodating luxurious yachts, and other boats, all at the same time. If dock space runs out, Rock Cove has plenty of deep water and space for many other boats to anchor! The home was designed by, and has been occupied and lovingly maintained by, the original owners. Other features of this luxurious home include: Private and peaceful surroundings, gently sloping to the rare, beach lined, waterfront. 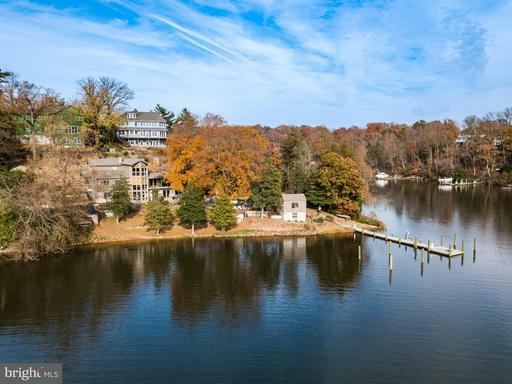 Panoramic views of Rock Cove, and the Severn River, from most rooms of the home. Exterior walls, comprised of bricks placed in the historically correct Flemish Bond pattern, backed by cinder block and insulation, form an approximately 14~ thick barrier, insulating the homes occupants from the outside weather. The main foyer and hall feature a grand staircase, leading to the upper private areas of the home. The four main private living quarters each have en suite baths, with granite counters; three look out over the cove and river. The same three have access to water facing decks. The master bath has its own roof top deck, perfect for privately enjoying the outside, while contemplating the events of the day. The master bedroom also boasts an attached sitting room, with its own fireplace, fitted with a gas log system. Most of the homes fireplaces have Italian marble surrounds. All are fitted with gas log systems. The main level is complete with formal living and dining areas, along with spacious areas for relaxation. The dining room is fitted with a butlers pantry, to aid with servicing those special meals. Relax before and after meals in the spacious and comfortable family and parlor rooms, each with expansive water views, and access to the exterior rear entertaining areas. The kitchen area is easily accessed from all main level rooms, and is outfitted with the most modern appliances. Relax at the kitchen island, or attached breakfast area. The rear entertaining areas can be accessed from each of the rear main level rooms. The lower level is fully finished, with a large office/library and fireplace, hobby room, exorcise room, and wine tasting room, connected to a weather conditioned wine cellar. The fifth bedroom is also located on this level. Another of the homes great features is accessed from this level, the heated indoor lap pool, and is congruous with the outside patio. All three finished levels of the home are accessible using the convenient elevator system.There are so many other features of the home. Please contact Craig Marcum, or check out the virtual tours, for more information, as well as pictures and a list of most home amenities. 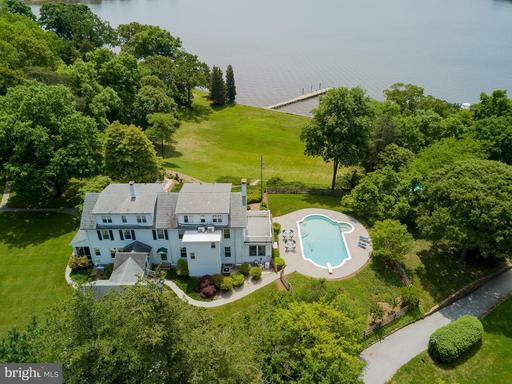 Exquisite Colonial in Bluff Point on the Severn River! Stunning great room with coffered ceiling and walls of windows. Master Suite with sitting room and water side private deck. Luxury master bath.Gourmet kitchen leads to private deck. Lower level with au pair suite, full kitchen and family room with gas fireplace. Private beach leads to pier with 10 feet of water, jet ski and boat lifts. 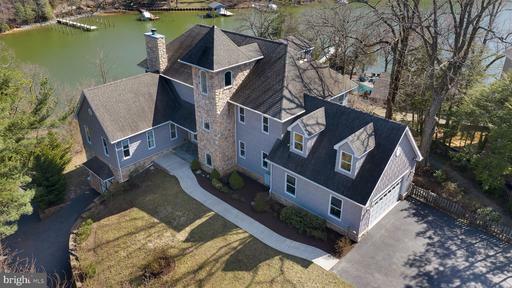 Stunning waterfront on BREEZY POINT; This 7,000 square foot custom home is on 1.26 acres with 400 feet + of water front, two piers and boat lift. Water depth and pier are suitable for yacht. Sandy beach. Enjoy exceptional views and privacy. Luxurious quality to include marble and hardwood floors, 10 ft. coffered ceilings, beautiful trim work through-out and solid wood interior doors. All brick exterior and driveway. First floor kitchen with professional 6 burners Viking stove, huge island, wine cooler, & French doors leading to 45 FT X 12 FT balcony w/custom tiles over looking this incredible property and the Magothy River. 27 Ft long formal dining room with 3 layered tray ceiling and built in light. Incredible view of the river from the stunning rows of windows in the living room & custom fireplace. A true Master suite with huge master bath and walk-in custom closet and another five bedrooms, each with a full bath. The ELEVATOR will take you to the lower level walk out Great room w/fireplace and another large professional kitchen set up for your fun entertaining w/French doors to a 40 X 14 custom porch. Two private offices, seven full baths, two half baths. Four car heated garage and carport large enough for 3 cars, two laundry rooms, 4 zone heating system, wine cellar, two extra refrigerators and freezer and irrigation system. Whole house generator runs everything in home. Huge storage area. Great home for entertaining and all year living. 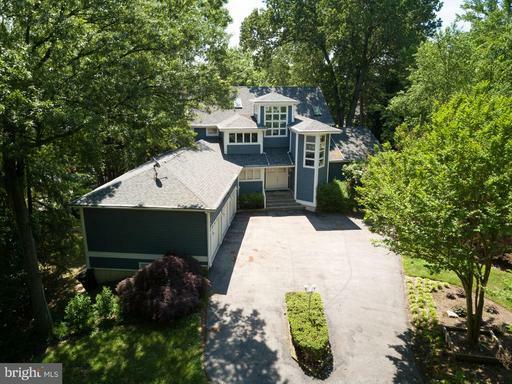 Nestled on 13 acres of rolling hills in Severna Park! Beautifully restored & maintained manor home w/3-BR guest house, 4 stall barn, tennis court, pool, fenced paddocks, 2-story workshop & more! Enjoy hrdwd flrs, gourmet KIT, quality craftsmanship, built-ins, 3-WBFP & spacious living! 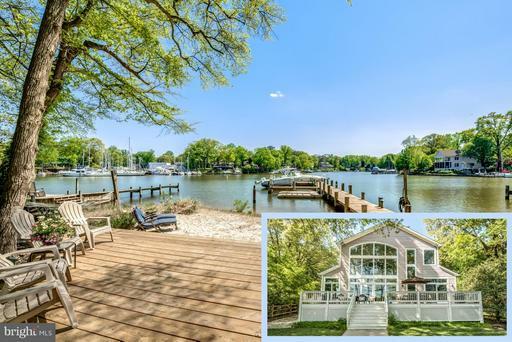 Professionally landscaped grounds; Severn River pier & beach access; Great location to DC, Baltimore & Annapolis! 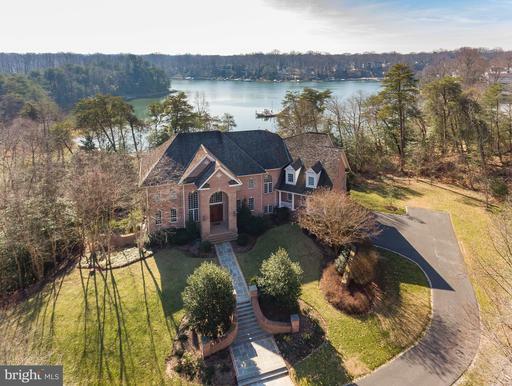 With a location in coveted Holly Point, this exquisite waterfront dream home awaits your lifetime of enjoyment! Just 60 feet from the water's edge, you will enjoy luxurious living across over 6,600 square feet of bright, airy living spaces with exceptional water views through its many windows. This home exudes unique, custom elegance from the moment you step into its dramatic two-story foyer with tile flooring. The relaxing formal living room awaits just steps away, with its inviting stone surround fireplace that stretches the full length of the space. This generously-sized room features large windows providing ample naturalsunlight, as well as plenty of space for multiple seating areas andconfigurations. An effortless flow brings you towards the fabulous custom kitchen, a true chef's dream with its many high-end appointments. Brand new cabinets, stainless steel appliances, an 8' granite island, and continued water views await in this entertainer's paradise. Beamed ceilings combine with floods of natural light to create a truly unique space, with room for casual dining or morning coffee with a view from the expanded window seat. Plenty of storage is sure to suit your needs with the large pantry space and bonus butler's pantry for easy entertaining. Make your way to the upper level,home to the generous and relaxing owner's suite which boasts over 1,000 square feet! An additional stone fireplace awaits for warm, relaxing evenings, or in the warmer months, enjoy views from your private full-lengthbalcony which overlooks the river and pool. A spa-like owner's bath is just steps away, with features that enable a true retreat: Dual sinks, a jetted soaking tub, a separate custom shower, and a massive walk-in closet with a convenient closet system all await. Two secondary bedrooms await on this level, with shared bath and jetted tub and walk-in closets for added function and flexibility. You will fall in love with the unparalleled views from the third floor library, with its beamed ceiling and access to two more bedrooms and a full bath.Outdoor amenities and appointments help to make this home the full package.It is terraced with gorgeous natural ironstone walls and features three well-appointed outbuildings, including an ironstone bath house; a two-story building with an upper level pub and lower level boat house; and a utility shed with a bonus half-story for extra storage! The outbuildings adjoin the incredible 20'x40' salt water heated pool which boasts of a waterfall feature and exceptional surrounding patio area, shaded with mature,flowering trees. Multiple terraces, decks, and patios will ensure maximum enjoyment of the dreamlike surroundings. Just steps from the pool and patio area, over 240' of beach await you with your own deep water private pier featuring a jet ski lift, room for a boat lift, and an additional two boatslips. With peaceful privacy, yet in a community that offers endless opportunities for neighborhood enjoyment year round - this home is truly one-of-a-kind. Custom built in 2016 this waterfront home with 4/5 bedrooms, 5.5 bathrooms is situated on .45 acre with over 200 ft of water frontage. Private pier built in 2018 has water and electric and 5' MLW. The home features an open floor plan with todays lifestyle in mind. The main level has a two story foyer, great room, dining room with bar/beverage center, office, laundry, mud room, half bath, a cooks kitchen with SS dishwasher, microwave, commercial duel fuel 6 burner range, french door wall oven, warming drawer, sub zero refrigerator and large sub zero freezer, 13 ft. island with prep sink, 48" upper cabinets, leathered granite countertops and large walk in pantry. You can turn the dishwasher and the oven on or off by wifi to help with todays busy schedules. Home has sand/stain in place white oak hardwood floors and staircase and two double sided fireplaces. The upper level has 4 bedrooms all with en suite bathrooms and walk in closets, plus a large bonus room over the garage with additional closets. The master bedroom has a vaulted ceiling, his and her walk in closets, marble bathroom with double vanity, cast iron claw foot tub, water closet with bidet, roll in shower has his/her controls/heads, rain shower or if you prefer, take a steam. The lower level on the waterside is completely above ground for plenty of natural light. You will find a rec room, game room, bedroom/hobby room, full bath, wet bar, media room, wine storage, large temperature controlled walk in safe, 5 closets and large storage room under the garage on this level. The entire waterside of the home has walls of windows to enjoy the view. Don't like stairs--no problem, the home has an elevator that goes to all levels including the garage. The oversized 2 car garage has an epoxy floor and built in workbench and storage cabinets. Outside the home has an underground irrigation system, blue stone walkway and front porch, decks off of the kitchen and lower level with connecting stairs. While at home, listen to your favorite music on the Sonos system and when away, view the interior and exterior with your home security system monitored to fire and rescue. Home is built to the latest energy efficiency ratings and has solar panels that are paid for--no high BGE bills here! 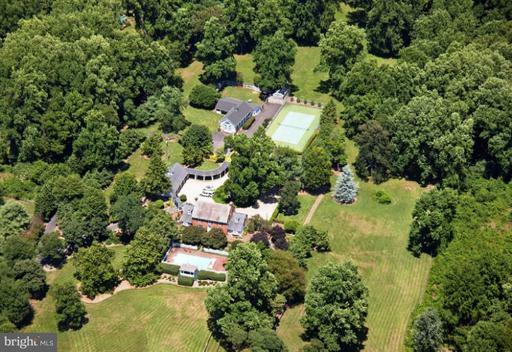 Lastly, this home is located in the Blue Ribbon Severna Park School district. The Adventure never ends at this ~Castle on the River~... Perched on a hill surrounded by water, your dream home awaits. With over 6000sq. feet on nearly two acres of land, this stunning home was carefully designed to maximize the views, provide for your every need and enhance your lifestyle. From the moment you enter the front door the panoramic views of Forked Creek and the Severn River will take your breath away! The free flowing living space with glass on all sides opens to the dramatic cantilevered deck which hovers 8 stories above the pristine cove. Watch the osprey fish as you sip on your favorite cocktail and the sun sets into the horizon. BUT WAIT, THERE~S MORE... The spacious main level has gorgeous hickory floors, a stone fireplace with a hand hewn wood mantel. The Living and Dining areas are open to a beautiful chef~s kitchen with a granite topped breakfast bar and island. The heart of the Kitchen is strategically placed to offer panoramic views of the wildlife sanctuary with blue herons nesting in the crowns of the pine trees. You~ll love the functional Walk in Pantry and generous closet in hallway to the 2 car garage. Home office next to the kitchen has built in cabinets and a private exterior entrance. A first floor master suite with walk-in closet on the main level makes a perfect retreat for all your guests. Centrally located 3 stop oversized wood finished elevator provides easy access to all levels of the home. BUT WAIT, THERE~S MORE... Upstairs you will find the majestic master suite with walls of glass and 180 degree views of the water. Her master bathroom with marble floors has a jetted soaking tub, a tile shower with bench and oversized vanity. His master bath features a walk in closet. You will even look forward to doing the the laundry when you see the large, bright and sunny laundry room just off the MBR with beautiful river views. There is an additional bedroom, full bath and walk-in closets. Unfinished walk-in attic is waiting for your inspiration. BUT WAIT, THERE~S MORE... Custom ship ladder leads to the huge versatile Fourth Floor Loft A space that inspires creativity, a place to play or simply rest. BUT WAIT THERE~S MORE... Let your imagination run wild in the lower level. Flexible floorpan allows for a 1-2 bedroom apartment with private entrance, theatre room, gym, income producing property or extra bedrooms and recreation room. Already in place is the perfectly conditioned wine storage area, additional laundry area and rough in for a full bath. The lower level garage / shop is two stories tall and designed for the boat builder, car enthusiast, hobby junky or full time tinkerer. Complete with hoist, built-ins for storage and full catwalk. BUT WAIT THERE~S MORE... The yard itself has over 300 ft of waterfront and a secluded sandy beach. There is an acre of terraced gardens abundant with fruit trees, flowering beds and a romantic tea area in the shade of a mature dogwood tree. Soak up the sun on the deck of your private salt water pool. BUT WAIT THERE~S MORE~~Dock with Deep water (6+MLW) and up to 10 slips, 2 lifts and has enough space for all your toys: your sailboats, power boats, jet skis, canoes, kayaks and paddle boards. This home has one of the very few paved private boat ramps in the area. As an added perk the private road to the dock also leads to an ancient waterside cottage that lovingly awaits restoration~. The entire property is designed to be fully ADA accessible and public sewer and water are now available. Truly the Adventure will never end at this spectacular Home. SEVERNA PARK WATERFRONT! 4-BR, 5-bath home on Yantz Cove has all the focus on the sunset water views. 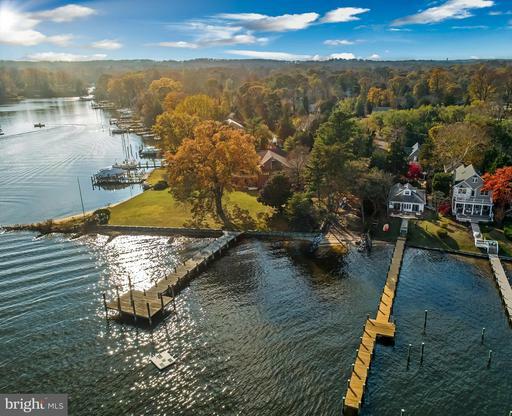 Private pier has quick Severn River access. Living & dining rooms have 2-story ceiling and wall of windows. Tiered decks for lots of entertaining options. Beautifully remodeled kitchen & bathrooms. Luxe MBR suite with water VIEWS. Lower level family room also has a waterside deck. Great location! Stunning waterfront home featuring tranquil views and new deep water pier! Breathtaking, open main level made for entertaining features sun-drenched great room and stone fireplace. Two waterside decks & beach for gracious gatherings. Enjoy a casually elegant lifestyle here, from the waterview master suite to the fully finished basement with an HD theater room. 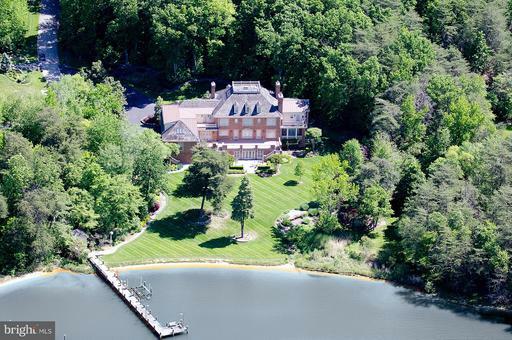 Relax in private setting with easy access to Magothy River & Chesapeake Bay. Welcome home! Almost every room has a water view. Trex deck,w/screened in porch. Private TREX Pier-6ft median water 115 water frontage,w/2 boat slips, 1 boat lift & jet ski lift. 3 CAR GARAGE WITH WORKSHOP-This house is an entertainer delight with a gourmet kitchen, stunning water views and huge flat backyard! Not to mention oversized driveway - room for 10 cars! Full house generator- Tesla charging station! Enclosed dog run w/door. $400k in upgrades! This is one of a kind! Come and experience for yourself!